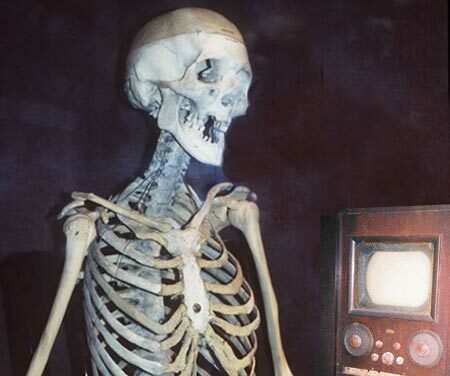 Heavy Metal rock music is a culture of death, depravity and rebellion, represented often by the number 13. There are hundreds-of-millions of fans worldwide, whose bodies are adorned with satanic piercings, tattoos and jewelry. Upside down pentagrams are common. A Pentagram with the point facing upward is used by Wiccan witches who attempt to conceal their Luciferian worship of the Beast. The upside down pentagram represents open Satanism. Literally, Heavy Metal music is worship of Satan, which is why Dave Mustaine of MEGADETH and others refer to their albums as “offerings.” As hard as it is to imagine, these demonic Rock bands are offering up their fans in the audience to their lord, Satan. 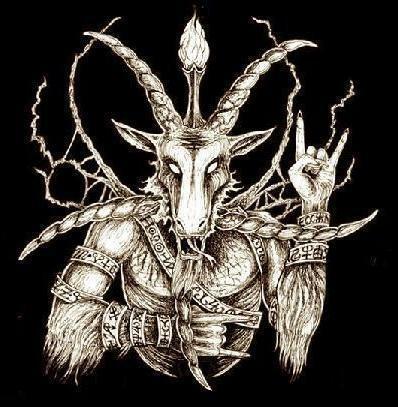 Though the music, the gods of Rock music recruit followers (fans) to worship their ultimate god, the Devil. This is so evil. 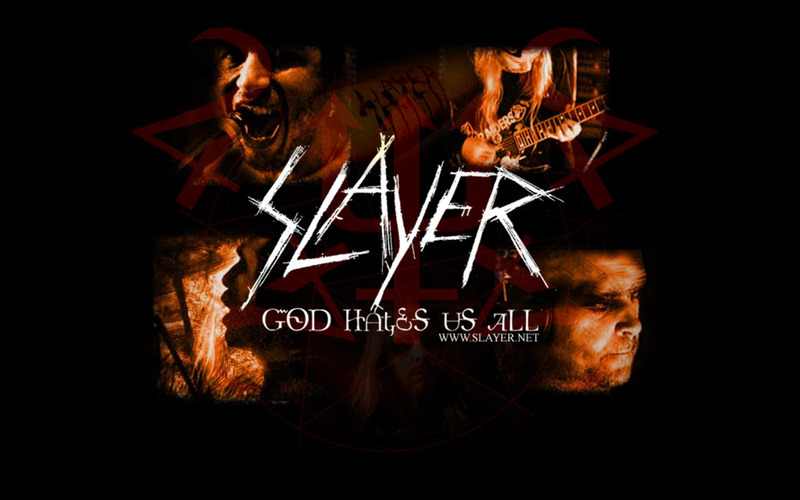 Whereas the Bible teaches that God loves all mankind and sent His only begotten Son to die for our sins, the band SLAYER blasphemes God and propagates the lie that God hates everyone. 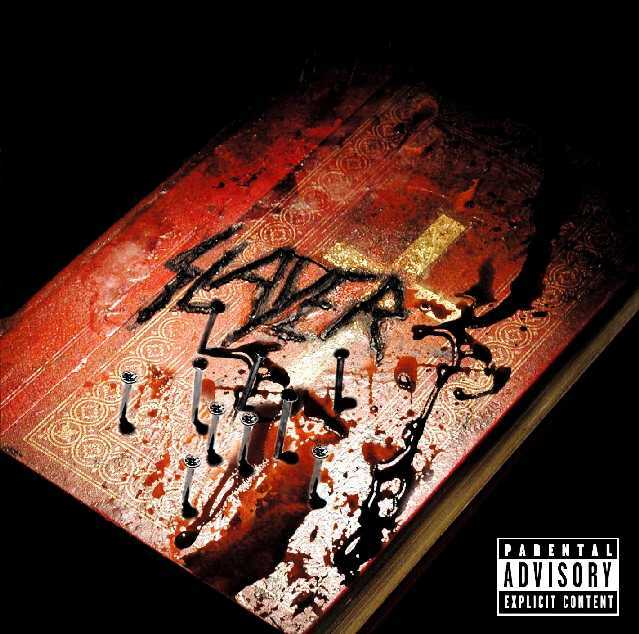 SLAYER openly worships Satan in their music; such as in the song: "Warriors from the gates of hell . . .
"In lord Satan we trust." The beginning of their song "Hell Awaits" contains an obvious backwards message. When played forward, nothing but garbled noise is heard, but when played backwards — you hear the real message — "JOIN US, JOIN US, JOIN US" — over and over! Does this music effect young people? "I hate your God, Jesus Christ. SATAN IS MY LORD. I sacrifice animals for him. My god is Slayer. Its THE WORDS of their music I BELIEVE IN." "Glory to thee almighty Satan . . .
WE ADORE THEE . . . Drink my blood as I drink yours . . .
Satan's sword I have become . . .
TO RID THE WORLD OF THE NAZARENE!" WE CURSE THE HOLY GHOST . . .
BLASPHEMY OF THE HOLY GHOST." Trey Azagthoh of Morbid Angel claims to be a REAL vampire, and while playing onstage — he actually bites himself and then drinks his own blood! Dave Mustaine says now that he's been a born-again Christian for 10-years, he told his agent that he won't perform in concert with “confessed satanists” anymore, but as you just clearly read, SLAYER is as satanic as can be!!! Mustaine said in his March 15, 2012 interview with Alex Jones that he's still willing to open concerts for SLAYER, ANTHRAX and METALLICA. Dave Mustaine sold his soul to Satan as a young man, just as SLAYER's song NEW FAITH teaches. Slayer sings that the Devil will give you pleasures that you've never knew if you'll simply worship him. SLAYER is Satanic! Mustaine's band MEGADETH has changed the world for Satan, leading hundreds-of-millions of youth into a heavy Metal culture of infatuation with death, violence, sexual immorality, perversion, blasphemy against God, hatred of the Bible and everything unholy and evil. It's a bad situation when you've made a career doing something evil and then find the Lord. You have to make a decision between pleasing the Lord or the Devil. Mustaine has chosen to continue ruining the lives of young people, leading them into SLAYER, ANTHRAX , METALLICA and MEGADETH. Did Mustaine really get saved? That's not for me to judge. Mustaine admits that he has done many horrible things in his life, but I've yet to hear him mention the word “sin.” I have serious doubts about Mustaine's profession of being a born-again Christian. He refers to his salvation as praying a sinner's prayer, but that is NOT THE GOSPEL. Biblical salvation is trusting upon the death, burial and resurrection of Jesus Christ as payment for your sins. Mustaine never mentions any of these truths. He vaguely mentions the name of Jesus and merely speaks of a sinner's prayer, but that is not God's plan of salvation. I once heard a female singer say that she's a Christian because she “prayed the Jesus' prayer.” That's not salvation. Heavy Metal music is of the Devil. I know that statement offends a lot of people, but you need to decide who you love more, God or the sinful world. James 4:4 and Revelation 3:15-16 teaches that there is no middle-ground. If you befriend the sinful world, then the Bible calls you God's enemy. I am taking a stand for God on this issue, because it needs to be said. 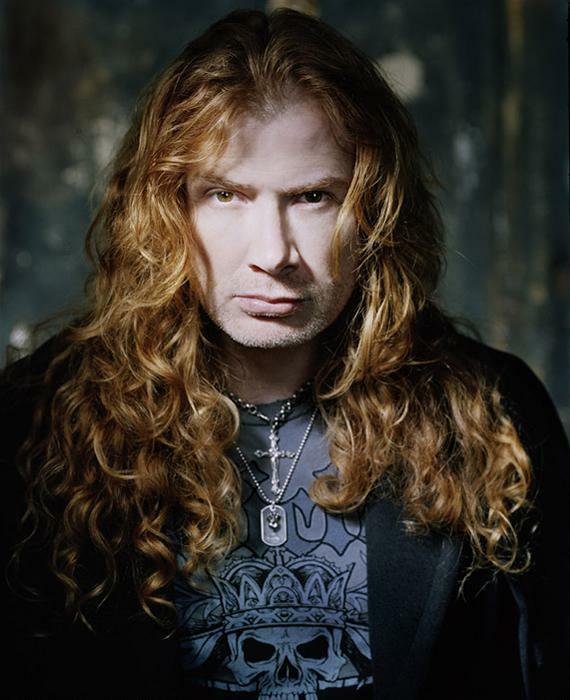 Hundreds-of-millions of people worldwide are fans of Dave Mustaine and MEGADETH. SLAYER and MEGADETH are of the Devil. Satan is the god of this sinful world (2nd Corinthians 4:4) and as such demands allegiance from those who desire fame, fortune and power. In Luke 4:6 and 7 Satan said to Jesus... "All this power will I give thee, and the glory of them: for that is delivered unto me; and to whomsoever I will I give it. If thou therefore wilt worship me, all shall be thine."